Kia brings over 30 years of dental care experience to the Midtown Dental team, having worked in hygiene for nearly two decades. She’s certified in local anesthesia administration from St. Pete College. She enjoys helping patients achieve optimal oral health and showing them the best way to care for their smiles at home. 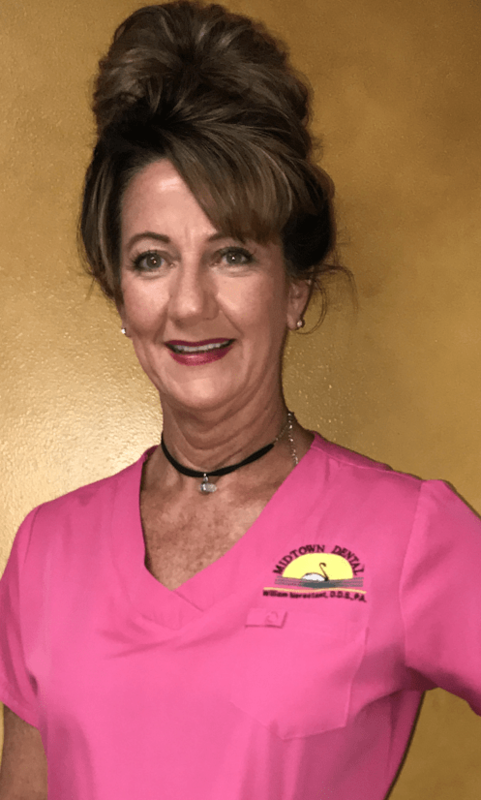 Kia loves being part of the awesome team of caring people at Midtown Dental who make it easy to form lasting connections with one another and with our ever-growing family of patients. She’s excited to be going back to school to pursue a bachelors in applied science/public health care. Kia is honest, humorous, compassionate, kind, and loving. She volunteers her time outside of the office to do personal training with veterans who have traumatic brain injuries. She also loves paddleboarding, lifting weights, boxing, and spending time with friends and family.